Velkommen til min scrappeverden: "Ta bilde"
Wow! What an eye-catcher! Love it! Så herlig og herlig bildeserie! Ja, dere har sannelig ikke vært så heldige med været da, men det har sikkert vært godt med ferie uansett vil jeg tro. Har en uke igjen og håper jeg ser litt sol til uken. 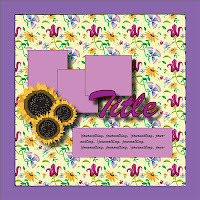 Vibeke - this is an exquisite layout! So much texture and beautiful embellishments - just so pleasing to look at! Thank you for playing along with Another Freaking Scrappy Challenge ... we hope to see you more often here!! Vilken härlig färgglad layout. Älskar allt färgstänk. Så snyggt! Such a stunning Lo - so much colour and the photos are sweet. more than does justice to the sketch. So excited to see all the different and wonderful interpretations. Oh this is so so amazing! I just ADORE your take on the challenge! It's so artsy and gorgeous - WOW! Thank you so much for joining us at Another Freaking Scrappy Challenge. Can't wait to see more of your creations! That's really gorgeous LO! Yhe media you used makes special atmosphere. Love it so much! Thanks for playing with AFSC! I am in LOVE LOVE LOVE with those splatters and how elegent yet messy in a nice way it all looks! This is a sweet layout! I want to do one just like it! Thanks for playing along with us at AFSC!